From whiplash injury to sitting at a computer all day, neck pain can be caused by several factors. 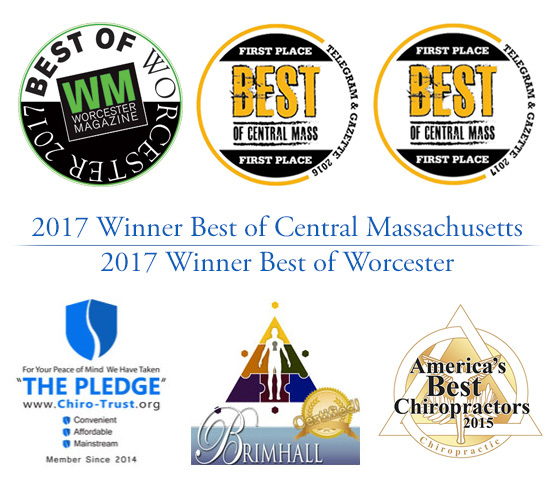 Contact us at Nault Chiropractic to schedule a consultation with Dr. Stephen Nault, a board certified chiropractor who specializes in muscular and skeletal issues. Although we offer the latest in chiropractic and pain management techniques at Nault Chiropractic, there are also four simple neck exercises you can do at home to curb your pain. While stretching, hold each direction from 10-15 seconds. Hold the stretch for longer if you experience pain or stiffness. Lift your shoulders up to your ears while simultaneously pulling your neck down like a turtle. When you are far down as is comfortable, firmly stretch your muscles and count to 10. For the second part of this exercise, while holding your shoulders near your ears, also stick your breast bone and move your shoulder blades together. If done correctly, you will feel a stretch in your chest muscles. While your arms are out, lower yourself using your upper back, keeping your chin down as if diving into a pool. Hold for 10-30 seconds, repeat 3-5 times. While sitting in a firm chair with your feet planted firmly on the ground, sit up straight and contract your abdominal muscles. Hold the seat of the chair and turn your entire body to one side, bringing the opposite shoulder forward and around as much as you can.